The international air search in the Indian Ocean for possible debris from the missing Malaysia Airlines flight MH370 has ended for the day, officials have said. As night fell, Australia, New Zealand and the US said bad weather hampered their efforts in the area 1,550 miles south-west of Perth. 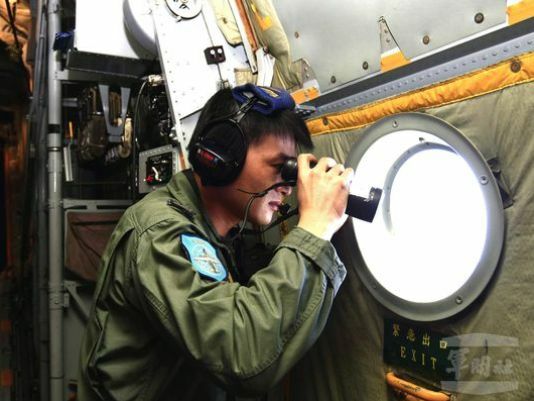 Four planes were trying to check whether two objects seen on satellite images were debris from flight MH370. The Kuala Lumpur-Beijing plane with 239 people on board disappeared on March 8. It first lost contact with air traffic controllers and then disappeared from radar. Footage shows an Australian Air Force P-3 Orion over the new search area. A statement by Australian Maritime Safety Authority (AMSA) said the four planes searched the vast area without success. “The search will continue on Friday,” it said. Two Australian Orion aircraft searching the area on Thursday were joined later by aircraft from the US and New Zealand. AMSA said the aircraft had covered an area of 14,000 square miles. The captain of the first Australian air force AP-3C Orion plane to return from the search area described the weather conditions as “extremely bad” with rough seas and high winds. David Wright, an ABC News reporter who was on the P-8 Poseidon, said all the sophisticated plane had spotted was “a freighter and two pods of dolphins”. A Norwegian merchant ship, the St Petersburg, has also arrived in the area after responding to a shipping broadcast issued by Australia’s rescue co-ordination centre. It will be joined by an Australian naval vessel, HMAS Success and Britain’s HMS Echo coastal survey ship. Earlier on Thursday, Malaysian Transport Minister Hishammuddin Hussein described the possible sighting of debris on satellite images taken on March 16 as a “credible lead”. The largest object appeared to be 78ft in size, the Australian authorities said. A number of sightings of possible debris have been investigated since the plane went missing but so far none have proved to be linked.